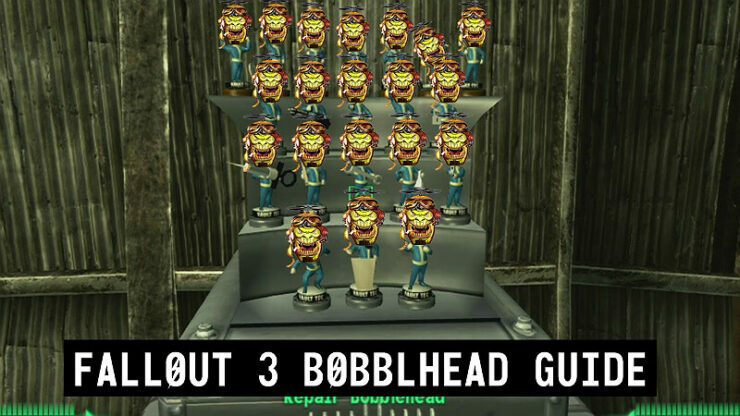 A Guide to help find the Bobbleheads, Vault Tec’s creation, all throughout the Capital Wasteland. 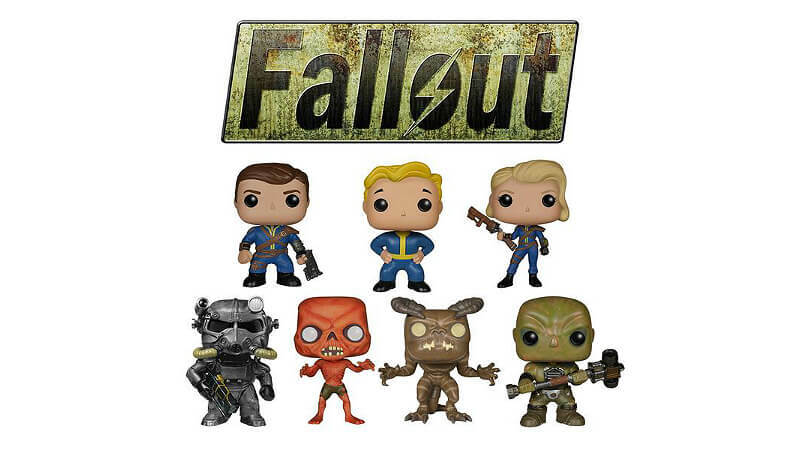 These pesky figurines have a special, or, S.P.E.C.I.A.L. Purpose to do in the game! You might not know what a bobblehead is. 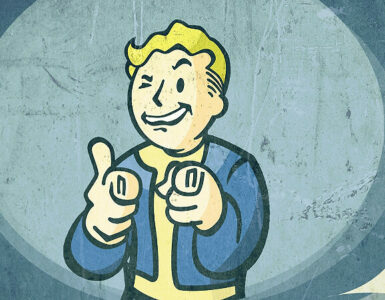 Well, Bobbleheads in Fallout 3 give you a permanent Increase to a stat, either your S.P.E.C.I.A.L. or Skill stats. every Skill is represented. Now, Some will be hard to find, some will be easy. and a couple can become inaccessible, depending on if you get them or not, or if you cause an event to happen. Also, the Console doesn’t work for adding the Bobbleheads. Yeah, They’ll Be in your Inventory, but it won’t do anything. 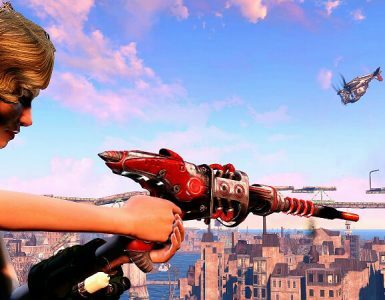 Strength: The Strength Bobblehead is found in Lucas Simms’ house in Megaton, easy to get after you’ve disarmed the bomb. 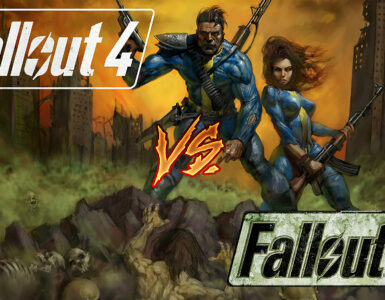 However, Blowing Megaton up Means you will be unable to get the bobblehead whatsoever. Perception: The Perception Bobblehead is found in the Republic of Dave, a place in the Way Northeastern corner of the World Map It’s in the Museum of Dave, one of the only buildings that are able to be accessed without speaking to Dave. It is placed on a shelf. 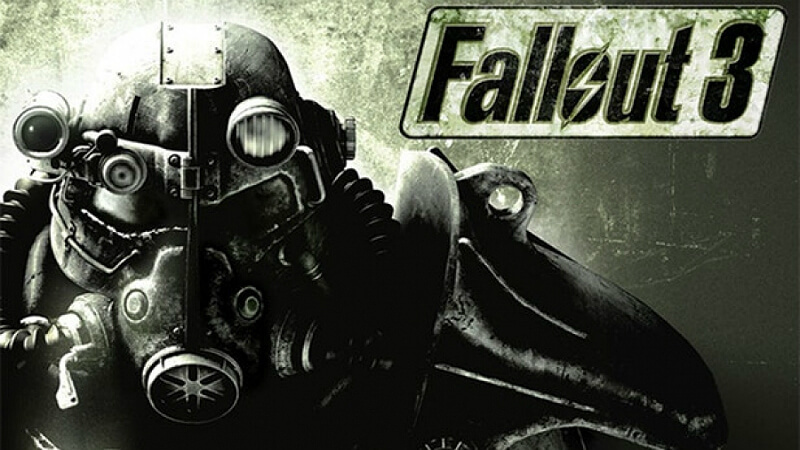 Endurance: The Endurance Bobblehead is found in the Deathclaw Sanctuary. For Lower level players, it is best to know where it is and come back once you have a higher level, unless you are sure you can take down a bunch of deathclaws. It should be In the South area, and is on a little Table. Charisma: The Charisma Bobblehead is located in Vault 108, which is 8 squares north of Rivet City.is home to the Charisma Bobblehead. The Vault is infested with baddies, so be careful. It is in the Western Area of the Cloning Lab. Intelligence: The Intelligence Bobblehead is located in Rivet City, in the Science Lab. Follow the Signs in the ship, as they will lead you right to it. Agility: The Agility bottlehead is found in the Greener Pastures Disposal Site, in the top right corner of the World Map. There is radiation all over, so do your best to be stocked with Radaway and Rad-X. Inside a shack in the Site is a radiation Suit and a stash of drugs. Get into the Office Building, Where you will find the Bobblehead. Luck: The bobblehead can be found in the basement of Arlington House at Arlington Cemetery, on a shelf. The cemetery can be reached via the Arlington Metro. The world map waypoint is named “Flooded Metro”, near Wilhelms Warf. Here are the Bobblehead Locations for the Skills. Barter: The Barter Bobblehead is found in Evergreen Mills, In the Evergreen Mills Bazaar. It is in the corner of the room to the right of Smiling Jack, the Raider Merchant. (Don’t worry, He is not hostile, if you didn’t know.). If you get over the workbench, it should be on the most right of the shelves. Big Guns: The Big Gun’s Bobblehead is found in Fort Constantine. It is in the basement of the CO quarters. There is usually a Protection around there, so kill him. Then proceed down the basement. Down there, you will find a open safe (Not Unlocked, literally open.) to the left. The Bobblehead, a 10mm pistol, some bottle caps, and the Fort Launch Codes will be found in that safe. Energy Weapons: The Energy Weapon Bobblehead is located in Raven Rock, in Colonel Autumn’s Bedroom. After passing the giant door from Sections 2B to 2C, the hallway will extend further and end with a door on the left and right. take the left one. and retrieve the bobblehead inside it. NOTE: IF YOU ENTER THE CONTROL ROOM WITHOUT GETTING THE BOBBLEHEAD, YOU WILL NOT BE ABLE TO GET IT AFTERWARDS. Explosives: The Explosives bobblehead is very hard to find. It is located in the south side of the WKML Broadcast Station. The entrance is tucked into a bunch of rocks. look for the manhole. a way to find the manhole is to turn on the broadcast signal from the station, and to listen to the signal to find where it is strongest. Lockpick: The Lockpick bobble is found in the Bethesda Ruins, in the East Offices, on a desk with the active lamp. Medicine: The Medicine Bobblehead is potentially the first one you get. It’s on your dad’s Desk in the Vault 101 clinic. it can be found during the three big Vault Quests. Future Imperfect, Escape, and Trouble on the Homefront. However unless you kill everyone or sabotage the Vault, you will BE UNABLE TO OBTAIN THIS. THE VAULT WILL BE SEALED. Melee Weapons: The Melee Bobblehead is in the Dunwich Building’s under chambers, in the center of a room near the second entrance into it. Go down the Metal Stairs and head into the door underneath. Go down the Hallway into the next room, and then go up those stairs. Follow the path until you reach a room with a large metal floor. the Bobblehed will be on that floor, along with some cans and bottles. Repair: The Repair Bobble is found in Arefu, in Evan King’s house ( Lockpick has to be 50 or Higher. And if you force lock, and don’t have the Infiltrator perk, you will make the bobblehead unobtainable. ) Do not worry, There is no Karma Loss when you open the door. it is on the white table to the left. Evan King May become Hostile if he sees you picking the lock, so keep that in mind. 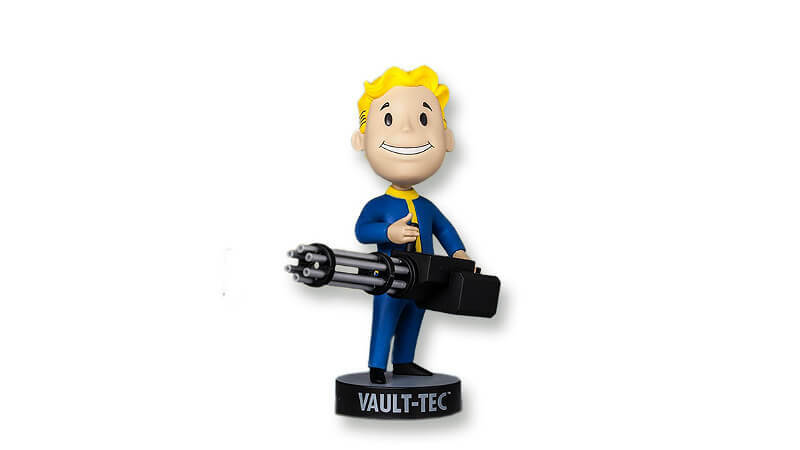 Science: the Science Bobblehead is found in Vault 106. it is on the eastmost room on the top floor, on a bookshelf. Small Guns: The Bobblehead for Small Guns is located in the National Guard Armory, within the depot. It is sitting on a shelf in the sealed storage room in the basement. It is right before the room that requires the Keller Transcripts. Sneak: The Sneak Bobblehead is located in the Yao Guai Tunnels. Inside the den. it is on top of a metal box, northeast of the large irradiated pool of water. You can get there by going down the north tunnel, and through a door. You may want to be high level when you head here. Speech: The Speech Bobble is in Paradise Falls, in Eulogy Jones’ pad. it is located on a table next to the terminal in a room, with the large heart shaped bed. Unarmed: The Unarmed Bobblehead is located in a cave to the North of Girdershade, right west of Smith Casey’s Garage. look for a rock under a string of tattered black banners. During the Night, light emits from it, making it easier. The bobblehead is found next to a dead. non feral ghoul. This cave is actually Rockopolis. and that ghoul is Argyle.